Vonlanthen Group of Companies is hosting the 2nd Annual Corporate University & Corporate Learning Summit in Barcelona, Spain. The event will take place at Melia Barcelona Sky from March 30-31st, 2017. After the success of the 1st Annual Corporate University & Corporate Learning Summit and the continued digital transformation of the workplace, the conversation continues to evolve with new ideas being presented. The purpose of this Summit is to bring leaders in this field back together to share best practice, new technology, and new solutions to the evolving nature of Corporate Learning and Corporate Universities. We are honoured to invite you to the Summit and to share with you the latest trends in Corporate Universities and Corporate Learning as it pertains to the health and vitality of our future workforce. Registration is opened till March 29, 2017. 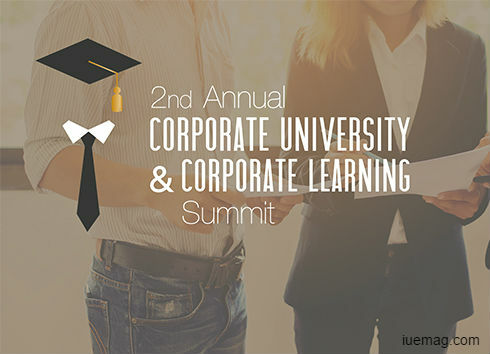 The iUeMagazine team is delighted to work with 2nd Annual Corporate University & Corporate Learning Summit as Online Media Partners & is expected to bring Unlimited Inspiration for all readers from the proceedings of this event. Staying tuned to the enriching updates from this event is recommended.